Sometimes I follow my imagination into quirky corners of life. A step off the wheel of real life, real politics and grimness. So if you want a little break from real life, you might like this post. 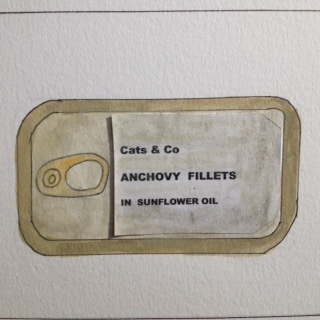 It all began with a conversation over supper, about anchovies. Such tiny fish, with lots of tiny bones, usually in small tins, filleted. So how do they remove these tiny bones ? Here is one fanciful response. I love your illustration! 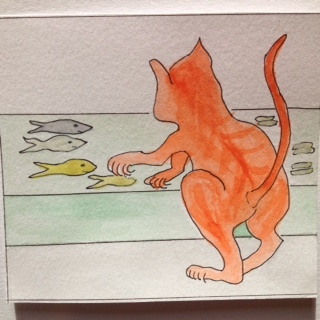 So vivid, like a real cat working on the fish. 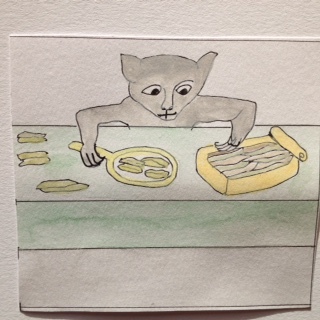 Pleased you like the drawings- I could just imagine cats filleting fish ! Maybe eating bits of fish while they work ?